Felcino Farm, Città della Pieve, Italy. Sunday 23 April 2017. The Felcino Farm which is located in Città della Pieve in the Province of Perugia in the Italian region Umbria was the host of the Wild Horse races. Endurance World Città della Pieve competitor in actionA total of 103 combinations started in different races with one international event, the CEI1* 80km. The organisers (ASD Wild Horse) were proud that more than 90 percent of the starters finished, a prove that the Mimmo Fratini designed tracks were ideal. “One of the most beautiful tracks of the last few years” was the comment of most participants. 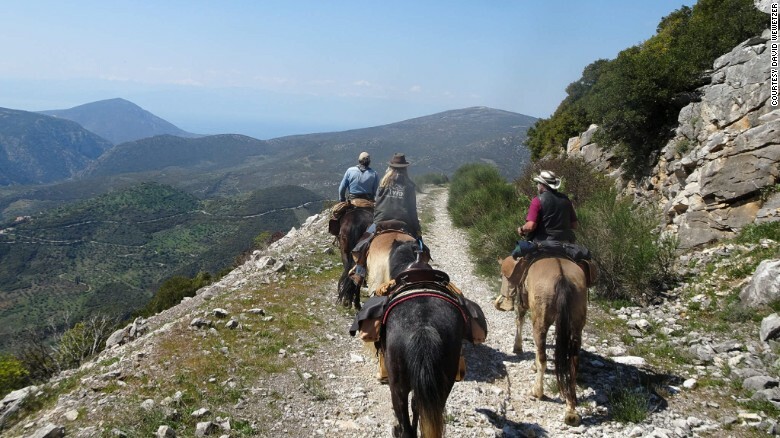 Athens, Greece (CNN)It could be a story out of Greek mythology: three men and a woman setting out on horseback to ride across Europe in 100 days. Tagging along with them is a rider-less steed named after the Greek messenger of the gods, Hermes. After a busy start to the season, there is now a lull in proceedings. There have been no competitions for us for the past two weeks and there are no competitions for the next couple of weeks. MILL SPRING, North Carolina, April 27, 2017–Plans are being completed for a 20,000-seat temporary main stadium for dressage and jumping and a new indoor arena for vaulting and reining for the 2018 World Equestrian Games at Tryon International Equestrian Center in North Carolina. Officials from at least 15 countries will meet at the Tryon show grounds next week to review progress for the world championships of dressage, driving, endurance, eventing, jumping, reining, vaulting and para-dressage Sept. 11-23, 2018. Easter 2017 marked the 40th anniversary of the Endurance New Zealand National Championships. Endurance World Taupo Georgia Smith 160km Senior winnerIn the run up to the event participants past and present studied up their NZ endurance history for the trivia night, and also watched the weather forecast as a cyclone headed on a collision course with the area. The start time for the 160km Championship was delayed in deference to the expected weather but riders and crew alike were relieved when the worst of the rain faded away, leaving near ideal riding conditions. A specialty shipping container shooting range could be the key to cementing endurance trainer Alamdar Dastani’s chances at bringing Olympic gold home to the Riverina. The Gerogery endurance horse trainer has been competing in air pistol for only 14 months, but has two of Australia’s best in the sport mentoring him. To meet his daily training requirement of four hours, he floated the idea with Greater Hume Council of setting up his own world-class shooting range in a shipping container. Dastani, now with council’s blessing, will seek approval from the NSW Police Firearms Registry to construct the 10-metre range. “My first state-level competition was at the Victoria state titles, held last March, and I won the gold medal in my division,” he said. “My closest club is the Hume Pistol Club, and the other two clubs are Wagga or Yackandandah. “I’m a professional horse trainer, so after training 130 horses, travelling to those clubs takes up a lot of my time. More than 50 riders are expected to mount up to tackle the legendary Quilty trails in the Hawkesbury next weekend. The Kings Forest national 80km Competitive Endurance Ride hosted a trial of a new award which forms part of the British Endurance Protocol currently being developed by Endurance GB and the British Equestrian Federation. The award is designed to complement the existing competition structure and reward good horsemanship over the course of the competition. At each vetgate and at the finish, presentation times were scored as 20 points minus the presentation time. A 20 point bonus was given for each Cardiac Recovery Index (CRI) result where the second pulse was lower than the first. Scores were also awarded for the other veterinary criteria (gut sounds, gait and dehydration) up to a maximum of 15 points at each vetgate and at the final vetting. The winners of the trial competition were Christine Ryan & Almaak with 145.40 points, who also won the class. Christine Ryan and Almaak had the shortest presentation times out of all the competitors at each vetgate and at the finish, and they had excellent CRI results including a final pulse of 60/48 in five minutes. In second place was Saffron Bishop & Ty Shute Golden Savannah with 135.62 points, and in third place was Charlie Chadwick & Sky's the Limit with 132.68 points. The results of the trial competition will now be reviewed by the working group. Other elements of the protocol which focus on participation, promotion of clean sport and selecting officials are still being worked on and more information will be released in due course. A dairy farmer from Hayle has signed up to take on the world's longest and toughest horse race – a derby across 1,000km of east Asian terrain. Paul Richards, 59, a dairy farmer from Hayle, will be taking part in the Mongol Derby and is raising funds for Children's Hospice South West (CHSW). Paul is a fourth-generation dairy farmer and has signed up to take on the 9th Mongol Derby across 1,000km of Mongolian steppe. All members of the Endurance Board of Equestrian Sports New Zealand (ESNZ) have decided to resign, effective from the annual general meeting on July 22. The announcement comes just days after the announcement of a special general meeting set for May 10, at which a motion of no confidence in the current ESNZ Endurance Board was to be moved. These are the days of pride for the Organizing Committee of Toscana Endurance Lifestyle, sistemaeventi.it and Italia Endurance asd, after yesterday that the FEI has made official the assignment of the Longines FEI World Endurance Championship 2020 to San Rossore, which is announced as the world capital of endurance in the coming years. 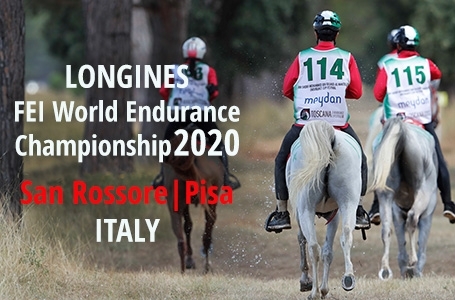 The Longines FEI World Endurance Championship 2020 allocation represents the confirmation of years of engagamenet and hard work and it joins to the FEI European Endurance Championship for Junior and Young Riders in 2018 and to double dates of 2019 with the FEI World Endurance Championship for Junior and Young Riders and the FEI World Endurance Championship for Young Horses. "We are ready for the world" will therefore be the leading road of the coming years because the goal - as always - is to be excellent and create the best conditions for all the pairs that will arrive to San Rossore in order for them to have a chance to give their best. The pride for the allocation of the 2020 World Championship is mixed in a melting pot of emotions and satisfaction for a bidding in which the Italian Equestrian Federation believed with conviction. "We are excited and eager to get to work - commented Gianluca Laliscia, CEO and Chairman of sistemaeventi.it - convinced to continue to give our best in all the championships that we will organize until 2020. A special joy, however, it is that represented by the allocation of Longines FEI World Endurance Championship 2020 that we want to share with HH Sheikh Mohammed bin Rashid Al Maktoum, who always believed in us, granting us the confidence needed to continue our growth". In October 2017 we hold the second edition of Race the Wild Coast: a new breed of horse race. Riders, with a team of three horses, compete for victory over 350km of rugged paradise on the remote east coast of South Africa; navigating through this challenging wilderness, swimming rivers and keeping horses fit for vet checks in this complex multi stage race will challenge the endurance of any horseback adventurer. • 24th – 31st October 2017. • Pre-Race training 24th – 26th October. Race 27th – 31st October. Depart 1st November. • Competitors transfer from Durban to the start camp on the 24th of October for a race briefing followed on the 25th and 26th with meeting their horses and back up team, kit and tack testing, horse orientation (including practice swimming rivers) and team strategy discussions. • The race starts at 09h00 on the 27th of October with a five-day window to complete the race. • There will be a prize giving and spectacular celebration on the evening of the 31st, and on the 1st November our brave adventurers begin their journey homeward. The CEI 1*/2* at Kings Forest near Bury St Edmunds in England ran several classes in addition to the internationals, tested new Endurance GB protocols and introduced a new face to European endurance riding. Tayla Hadzi is a native of Queensland, Australia but has been working as Head Girls at OSO Endurance Arabians in New South Wales for some time. She was responsible for training OSO Edith to compete at last years World Championships at Samorin where the ten year old mare was 24th individually when ridden by Sacha Laws King and helped the team into fourth place. An international season for endurance under the rules pioneered at the United Arab Emirates’ Boudheib endurance center has been announced. The proposed calendar lists races in South Africa, the Netherlands, Germany, France, Jordan and Texas. A statement from the Boudheib center lists Princess Alia, the sister of former FEI president Princess Haya, as the organizer of the Jordan event. The proposed schedule and dates are listed below. You don’t need to be much of a horseman to know that if you persistently and rigorously work an unsound horse, it will break. Now, though, we have compelling scientific evidence that the intensive training techniques and high competition speeds typical of Middle East (FEI group 7) endurance have a direct impact on bone fatigue and the Catastrophic Injury (CI) – a term unique to endurance lexicon. Distinguished veterinarians Tim Parkin (GB) and Chris Whitton (Australia) presented their long-term studies on attrition to the FEI Sports Forum in Lausanne. Whether their findings result in yet more endurance rules or change in group 7 mind-set remains to be seen. Sadly, the conference chamber was not exactly awash with endurance practitioners – let’s hope more were watching online. Worryingly, Sheikh Khalid of Bahrain – which he flippantly described one of the “naughty” countries – said towards the end of the bone fatigue Q &A that he thought Whitton was recommending longer rest periods between LOOPS during a ride. In fact, Whitton was clearly urging an even longer mandatory rest period between RIDES. Still the evidence that speed kills was there in print; and also in monochrome. Whitton produced disturbing visuals of “deforming” bones to illustrate that natural bone repair likes to follow its own schedule. A naturally-repairing bone adapts to the horse’s usual type of work; so galloping a horse who is just back from injury when he is more used to trotting causes more damage, and vice versa. With every stride a horse is one step closer to bone fatigue: ergo, the skilful horseman will do only the bare minimum needed to keep the horse competition-fit. So another endurance season is over here in the UAE as the temperatures are creeping up to 40 degrees! The Boudheib Initiative has been very successful throughout our 2016/17 winter season and is helping the sport to return to its origins whilst the Best Endurance Challenge Award (BECA) is providing a good basic structure for the future 'Welfare of the Endurance Horse'. In Boudheib, natural tracks now form up to 45% of some loops, and are naturally slowing down speeds; the strict 20kph speed rules, the 56bpm heart rate and 10 minute presentation time are also having the desired effect. 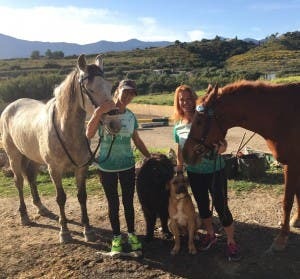 It seems that the horses, riders and trainers are becoming more accustomed to riding and training for these trails and everyone is starting to enjoy the BECA challenge. The hugely exciting 'Boudheib Worldwide' conference took place in Boudheib last month, with many international endurance guests taking part. Consequently great strides are being made in implementing the Boudheib Initiative Worldwide and many countries have come forward to request the use of the Boudheib rules, and BECA (Best Endurance Challenge Award) in their competitions. We are proud to announce the support of His Highness Sheikh Sultan Bin Zayed Al Nahyan for 7 proposed international endurance events to take us through to the end of the year. Boudheib's international season will start next month, May 27th, in South Africa. PWC Sondela Endurance Event Organiser, Susan Koekemoer is advancing well with arrangements and expects a total of 200 horses and riders to take part in 3 categories namely 40km, 80km and a 120km using Boudheib's BECA. The BECA protocol will run alongside their own National event and CEI1*. They even have participation from Botswana competitors who will travel over 350km to take part. An invitational team competition between Botswana and local South African club teams has been added to the event to promote the International spirit between teams. 5 riders in the 80km times predict their riding time and the team closest to their predicted time win the team competition. The PWC Sondela Endurance Ride, hosted by Premier Equestrian Club, has been held in the beautiful Sondela Nature Reserve in the Limpopo Province of South Africa for the past 15 years. The success of the event can be attributed to the professionalism of the event organisation, the beauty of the trail within the Sondela Nature Reserve and the luxury accommodation offered by Sondela for the whole family, not just the competitors, to enjoy the event. Annual new initiatives at the event are always explored to maintain horse & rider interest. Premier Equestrian Club's mantra is "progress through innovation" and this compliments the visions of the Boudheib Initiative. The mutual collaboration of the two entities and generosity of HH Sheikh Sultan Bin Zayed Al Nahyan will, without doubt, enhance every riders experience at the PWC Sondela Endurance event. Premier Equestrian Club will be posting regular updates leading up to the event on facebook and anyone wanting to follow the event is welcome to send a "friend request" to Premier Equestrian Club. Western Australian Endurance Riders Association Inc. will be holding its 2017 Easter Marathon in Collie this Easter long weekend. The endurance ride is divided into several distance categories, and is spread across the Friday, Saturday and Sunday. Western Australian Endurance Rider's Association Inc. Fundraising and Awards coordinator Carly Arnason said endurance riding focuses on managing your horse. ENDURANCE: After a 10-year hiatus, the Lockyer Valley Endurance Riders are back on the tracks. The club does not have a "home track”, so the trails of Bony Mountain will host to the Easter rides. some for rides later in the year. "Because we only formed in February we haven't been able to find a good enough location in the valley so we're going up to Bony Mountain,” Abercrombie said. Following agreement in February that Endurance GB and the British Equestrian Federation would work together to develop a new British protocol for all future international rides in Great Britain, significant progress has been made. A working party, led by Dr. Tim Watson, BEF Board Director, have met and discussed developing a protocol that not only helps build a long-term UK strategy regarding horse welfare, but further enhances our UK offering with an ultimate goal of increasing participation in international and high-level competition. Following a number of meetings, a period of consultation was launched to seek the views of a random selection of FEI riders, ride organisers, officials and those aspiring to ride at that level. On analysis of the results, and a substantial amount of historic ride data, the working group are now in a position to test the new protocol at the Kings Forest ride. The results of the 80KM Competitive Endurance Ride class at Kings Forest will be analysed using the parameters that the working group are recommending, and the criteria will then be further assessed for their suitability to be introduced at all FEI and CER rides in England and Wales. Results of the analysis will be available on the Endurance GB website following the ride, at which time a summary of the criteria will also be available. The objectives of the new protocol are to reward good horsemanship at our competitive and FEI rides in this country, devise a transparent method for appointing FEI officials, suggest ways to increase participation and recommend improvements to publicise clean sport. The process of refining a British Protocol that works for all is an interactive one and will be refined over the coming weeks, taking into account the information presented at the FEI’s Sport’s Forum. The welfare of equines and human athletes was top of the agenda on day two of the FEI Sports Forum 2017. Scientific data on Eventing risk management, Endurance risk factors and bone fatigue was presented to more than 330 delegates gathered at the International Institute for Management Development in Lausanne (SUI) today. The FEI has invested in substantial scientific research to evaluate risk factors and risk management and the sixth edition of the Sports Forum provided the platform for evidence-based data to be presented to the equestrian community. Sydney 2000 Olympic champion David O’Connor (USA), Chair of the FEI Eventing Risk Management Steering Group, shared moderation of the afternoon session on Eventing Risk Management with Giuseppe Della Chiesa (ITA), chair of the FEI Eventing Committee. Co-founders of equestrian data science company EquiRatings, Diarmuid Byrne and Sam Watson, who signed a four-year partnership with the FEI earlier this month to work on risk management initiatives for Eventing, presented the rationale behind the EquiRatings Quality Index (ERQI) and its scope, with analysis of athlete and horse performance history one of the key elements in risk reduction in Eventing. “Past performance helps us predict and plan future performance”, EquiRatings Managing Director Diarmuid Byrne said. Presentations in the following session on Endurance risk factors and bone fatigue were well received by delegates, who were impressed by the detailed analysis of data. All three of the panellists - Dr Tim Parkin and Dr Euan Bennet from the University of Glasgow, who are conducting the FEI’s Global Endurance Injuries Study, and Professor Chris Whitton from the University of Melbourne, were clear on the fact that speed and non-compliance with mandatory rest periods are the key risk factors. Dr Euan Bennett stated that an increase of seven days on the mandatory rest periods established in 2014 could potentially prevent 10% of the failed-to-qualify statistics. Mark Samuel (CAN), Chair of the FEI Working Group on FEI Officials opened the day’s first session when details of 13 concrete recommendations were provided, including a code of conduct and job descriptions for officials, the withdrawal of the age limit, online education for officials and course directors, appointments and remuneration, and a mentoring programme for younger officials,. Delegates were also gjven an update on the initial findings of the FEI Dressage Judging Working Group. The Group’s discussions, which have lasted for several months, were based on analytical studies of the current judging system and exploring judging procedures in other FEI disciplines, such as Reining and Vaulting. The need to introduce a code of points and to concentrate further on education and training of judges across all levels are some of the long-term objectives proposed by the Working Group, with a revised multi-media FEI Dressage Handbook to be delivered as support. FEI President Ingmar De Vos closed the FEI Sports Forum 2017 by thanking delegates and sponsors, and saying: “We’re very proud of the Sports Forum. This is what we need to do to fully engage with our community and take the necessary next steps. It is very important for the FEI to listen to what our National Federations and stakeholders have to say. The end of the Sports Forum means the start of a lot of work, but this is always a positive move forward. Officials: Mark Samuel, Group IV Chair – Moderator; Peter Bollen, FEI Jumping Committee member, Sönke Lauterbach, NF Germany Secretary General; Frances Heather Hesketh-Jones Triulzi, FEI Honorary Steward General Jumping; Brigitte Mathias, NF Namibia Secretary General. Risk Management in Eventing: David O’Connor (USA), Chair FEI Eventing Risk Management Steering Group and Sydney 2000 Olympic champion; Giuseppe Della Chiesa (ITA), chair of the FEI Eventing Committee; Equiratings’ Diarmuid Byrne and Sam Watson. Endurance risk factors and Bone Fatigue: Chair of the FEI Veterinary Committee John McEwen; Chair of the FEI Endurance Committee Brian Sheahan; Dr Tim Parkin and Dr Euan Bennet at the University of Glasgow; Professor Chris Whitton from the University of Melbourne. It’s definitely one for the bucket list: Endurance riding at the Royal Windsor Horse Show is something very few equestrians will get the chance to experience. With only four weeks to go to the show, British endurance rider Anna Williams shares what it is like to ride at Windsor, what the sport entails, and her preparations. Marahau adventurer Marie Palzer is readying herself for the world's longest, toughest horse race – the Mongol Derby. Come August, the 22-year-old kindergarten teacher will strap her gear to a semi-wild Mongolian Pony alongside 40 riders in a race that traces a path of military leader Genghis Khan. Palzer will rely on her own navigational skills, and the kindness of locals, to traverse 1000km in 10 days over rugged terrain. She will be confronted by vast grassy steppes, looming mountains, marshy plains and deserted wilderness that is home to some of the oldest nomadic tribes. Only a third of the riders complete the journey and Palzer intends to be one. "I'm pretty determined I'm getting myself across the finish line and I wouldn't be disappointed if I won..."
While most of her classmates were probably playing at the age of 6, Manal Fakhrawi was in training already seeing herself at the race course. The International Equestrian, the first and only female Bahraini jockey with lofty ambitions is making history. Her achievements in the Equestrian world were ground-breaking moments not only for racing in the kingdom, but women in sport. She is a role model for a reason and has a story to share that should never be untold. Spring not only means endurance, but it also means repairing land, washing dirt-encrusted horses, cleaning terminally stained rugs and thinking about clearing out the tack room. OK, enough of that, back to endurance. After Chiara’s competition, she was given a week off to fully recover from her exertions. I tend to give all my horses plenty of recovery time following a competition, perhaps more than is necessary, but it is far better that way round; I want my horses to last. Last week she had some light work, mostly schooling and walking over poles on the ground to encourage her to stretch down which is something that doesn’t come naturally to her. Now it was Dilmun’s turn. The plan was to run him over 45km to see how he felt with a view to entering the one-star competition at Royal Windsor. Dilmun is now 18-years-old and has been there and done it and for last season and this season, his desires have dictated his competition schedule to some extent. Last year he only ran three times, winning a performance formula competition at the same ride we went to last weekend, being the best Brit in the one-star at Euston Park and finishing with a steady one-star completion at Keysoe. 8 April 2017, USA ~ Mercedes, congratulations on winning the 2016 HH Sheikha Fatima Bint Mubarak Darley Best Endurance Rider Award. We would say you were born in the saddle. Can you tell us about your passion for horse riding and healing? HR: How long have you been riding horses? How long have you ridden endurance? MT: I was born between horses as my Grandfather and my Father were breeders in Argentina, then I studied to be a Veterinarian to be sure that my life would be with horses. Our breed were Criolo horses at that moment, but in 1999 a large Arabian breeder in Argentina asked me to train his horses for endurance and there began my story with the Arabian horse, and I never left. My first World Championship was in 2002 Jerez de la Frontera with a big and tall Arab Horse named Ras Kasal. and we finished with the best place for South America. MT: I am the trainer and rider of my horses. If I have to choose one horse as a favorite it would be Ras Kasal (Ansata Aly Jamil x Ras Karima) because with him we did three World Championships and one Pan-American Championship. After that I have fallen in love with many other horses because they usually steal my heart! I used to ride for other breeders, but since 2012 I ride only for my own farm and breeding. HR: Do you breed to any specific pedigree? Equestrian events in Australia exclusively for horses unvaccinated against the dangerous Hendra virus are disturbing the Australian Veterinary Association (AVA). The AVA has expressed its concern about the health and welfare of horses who have not been vaccinated against Hendra at events, including endurance races. It follows comments by Equestrian Queensland board member Peter Toft, who said the pressure on members to boycott events where vaccination was not mandatory was counterproductive. Organisers of the Easter Endurance Carnival in Gympie, Queensland, stipulate that all horses entering the competition grounds must have a current Hendra vaccination certificate. Pony Club Members who take part in Endurance GB rides at Novice (20-30km), Intermediate (31-39km) and Open (40km+) levels can now benefit from a new league where they will receive points for each kilometre completed. The 2017 Pony Club Endurance League is now open, closing on 20 August when one lucky Member will be the first to receive a trophy kindly donated by Pony Club Endurance Chairman Robert Blane in memory of his horse, Pink Floyd. 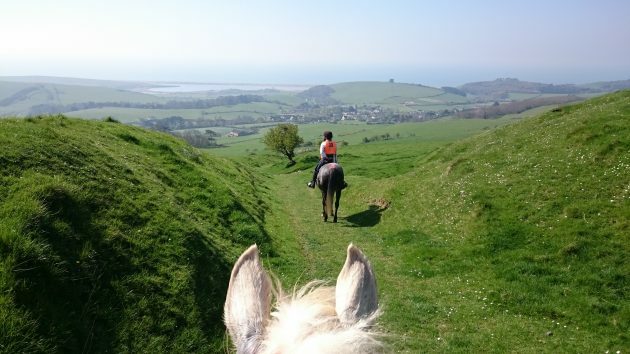 Eligible rides can be found all over the country, and to take part Pony Club Members must either be a full member of Endurance GB (EGB) or they can register for free as an EGB Club Member which entitles them to compete up to 40km whilst paying member’s rates. This new league is also welcomed by The Pony Club as a benefit to its Members, and to help strengthen the mutually beneficial relationship the organisation has with EGB; with whom they are collaborating to increase participation amongst younger Endurance riders. The three highest ranked combinations at each level will be presented with a sash, and the overall winner will receive The Pink Floyd Trophy which Robert Blane feels is a fitting tribute to his horse. Described by Robert as a true all-rounder, Pink Floyd was a 17hh Advanced Endurance horse who also competed to a high level in Dressage and Show Jumping. Horse and Rider combinations who receive the most EGB points in rides of 40km or above (GERs or CERs using normal EGB trophy points). Best ten rides to count. 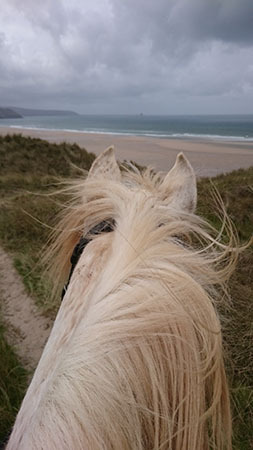 Horse and Rider combinations who receive the most EGB points in rides between 31 and 39km (Vetted Pleasure rides and GERs using normal EGB points) Best ten rides to count. Horse and Rider combinations who receive the most EGB points in rides between 20 and 30km (Vetted Pleasure rides getting one point per kilometer and Novice GERs using normal EGB points). Best ten rides to count. EGB Open/Advanced horses or riders are not eligible for this section. The League tables will be available for viewing on the EGB website, where a list of rides and details on how to enter can also be found. Chevaux Brasília Championship, Fazenda Água Limpa, Brasilia, Brazil. Saturday 25 March 2017. This was the first stage of the Chevaux Brasília Championship and was the same location as the season closing event of last year’s championship. In total, there were 94 entrants in categories that started with 23.5km until the CEI1* 80km both in senior and junior that brought riders from different states together. The FEI has signed a four-year agreement with Irish equestrian data science company EquiRatings, which will see the two organisations working together on risk management initiatives for both Eventing and Endurance. The partnership will see EquiRatings work with the FEI’s extensive database which, alongside competition and veterinary data, has been collating statistics on fences, falls and injuries in Eventing and other information related to risk management in international competition for the last 10 years, working closely with National Federations and stakeholders. As an important step in the FEI’s ongoing risk management work in Eventing, the company will initially focus on the implementation of the EquiRatings Quality Index (ERQI) at all level of events starting with the elite 4-star level. The ERQI is an index which helps assess the risk of horse falls in the cross country phase and has proved an accurate indicator at national level. EquiRatings and the FEI will work on specific projects at the request of the FEI Eventing Committee and the FEI Risk Management Steering Group. The agreement will also see the FEI and EquiRatings further collaborating on horse welfare and data analysis projects in Endurance, formalising exploratory work between the parties over the last 12 months. Initially this will include developing data analysis and predictive analysis tools to measure and manage risk for both human and equine athletes. “This exciting new partnership with EquiRatings is part of a holistic approach to risk management, working with our national federations from grassroots right up to elite level”, FEI Secretary General Sabrina Ibáñez said. “The ERQI is both a powerful tool for understanding and predicting risk in both Eventing and Endurance and brings a new layer of insight into the decision-making process at a global governance level. EquiRatings will make a presentation on data analysis as part of the Eventing risk management session at the 2017 FEI Sports Forum in Lausanne on the afternoon of 11 April. The FEI Sports Forum will be streamed live on the FEI YouTube channel. BONY Mountain on the Darling Downs will play host to five endurance rides this Easter weekend with riders from as far afield as Manilla in New South Wales looking to enjoy the break with their horses and take on the challenging terrain. The rides - which range between 20 and 80km in distance - have been organised by the Lockyer Valley Endurance Riders (LoVERs) club which was reinstated to host this event after a 10-year sojourn. Ride organiser Lyndell Abercrombie said she was delighted to see the club reunited and looked forward to welcoming both new and existing endurance riders to the Darling Downs. Tryon International Equestrian Center (TIEC) unveiled the FEI World Equestrian Games™ Tryon 2018 (FEI WEG) event logo and promotional video at the 2017 FEI World Cup™ Finals in Omaha, N.E., on Friday, March 31. Held every four years in the middle of the Olympic cycle, the 2018 FEI WEG will be held September 11-23 at the Tryon International Equestrian Center (TIEC) in Tryon, NC. The press conference was hosted by key members of the FEI WEG organizing committee, Mark Bellissimo, CEO, and Michael Stone, President and Sports Director; alongside FEI Secretary General Sabrina Ibáñez, and U.S. Equestrian President Murray Kessler. The Charlotte Chamber has has announced that North Carolina will be the official site of the 2018 World Equestrian Games – held at the Tryon International Equestrian Center in Polk County. The internationally acclaimed event will take place from September 10th-23rd – it occurs every 4 years, staggering the summer Olympics. PRO and anti-vaxxers are locked in a battle, but this time involving horses and it is ripping a Queensland ­riding fraternity in two. Equestrian enthusiasts and the Australian Veterinary Association are in a bitter standoff over the Hendra vaccine, the subject of a state parliamentary inquiry in 2016. This followed the deaths of 97 horses and four people since 1994 and official findings advised vaccinating horses against the virus should be encouraged, but not compulsory. The AVA – which lost veterinarians Dr Ben Cunneen and Dr Alister Rodgers to Hendra in 2008 and 2009 – has taken a firm stance and warned vets to weigh the legal risk and carefully consider involvement in endurance events unless they were vaccination only. A SENIOR equestrian industry spokesperson has strongly criticised the Australian Veterinary Association (AVA) claiming they are holding the industry to ransom and responding prematurely to the parliamentary inquiry into the Hendra virus vaccine. Board member and former president of Equestrian Queensland, Peter Toft said the association's ongoing pressure on its members to boycott equestrian events where vaccination was not mandatory was counterproductive and failed to address the responsibility of all involved to create a safe environment within which people can enjoy their horses. "If vets are refusing to adjudicate endurance events unless they are vaccination only, they are effectively forcing event organisations to turn away any members who have concerns about the vaccine and the impact it has on their horses,” said Mr Toft.